Sherman Provision – Page 80 – Provider of Quality Meats & International Groceries. 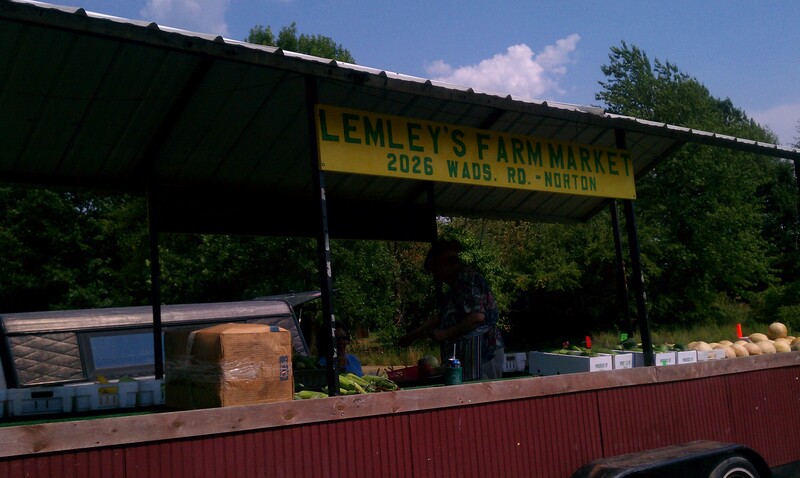 from 3:30 p.m. to 6:30 p.m. Last week we were surprised and thrilled with the addition of the Lemley Farm Market Wagon at our Farmers Market. It was loaded with produce at very reasonable prices. I bought canteloupes for $1.00 each, and they were the best canteloupes I have had for a very long time. I also bought tomatoes. They had fresh corn on the cob, zucchini, squash, and so much more produce. It would be impossible to list everything. They will be back at the Farmers Market this Thursday, so be sure to stop out. You will be glad you did. Local farmers are starting to harvest their bounty, and everyone wins. The farmers are able to sell their products, and our customers are able to get fresh, delicious produce at reasonable prices. It is a win/win for everyone. We also have vendors with home made bread, all natural soaps, lip balms, lotions, plants, herbs, jewelry, etc. 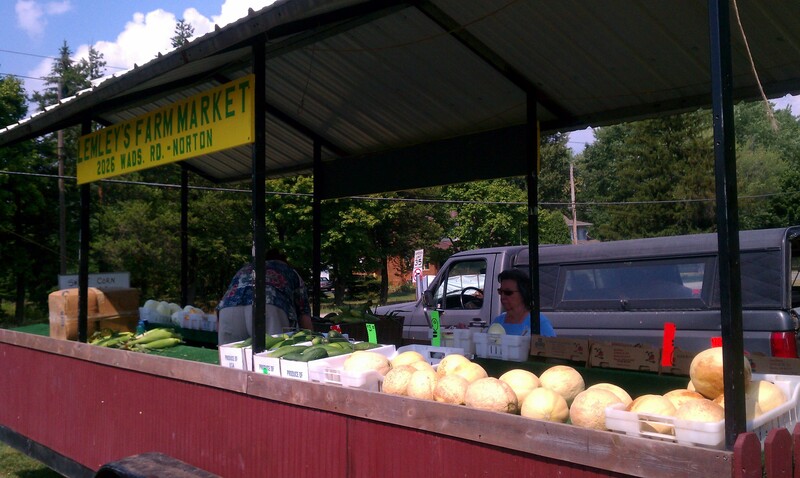 If you know someone who would benefit by being a part of our Farmers Market, please have them call me at 330.825.2711. We would love to have them be a part of the offerings on Thursday afternoon at the Sherman Provision Farmers Market. Enjoy your week, and please introduce yourself when you stop in at Sherman Provision. I was given 2 beautiful zucchinis, and I did not want to waste one bite of either of them. I decided to make Zucchini Italian. 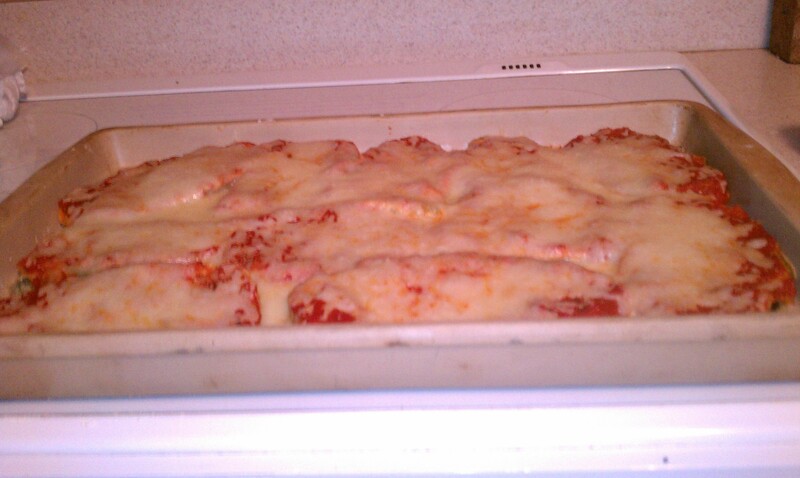 This is similar to Eggplant Parmesan, only with zucchini and a few twists. If you know anything about me, you know when it comes to cooking it must be 1) easy, 2) delicious, and 3) economical. I worked at Sherman Provision last night until 6:00 p.m. I didn’t get home until 6:30 p.m. By 8:00 p.m. I had made 3 huge pans of Zucchini Italian–Sherman Provision style, watered my flowers and had time to relax. Enough said,now on to the recipe. Zucchini–unpeeled, (cut off ends and outer edge) cut lenthwise approximately 1/4″ thick by 3 to 4 inches long. Preheat oven to 425 degrees. Take butter and put it on a metal cookie sheet with at least 1 inch sides and place in the preheated oven. Put Runion’s mix in a plastic bag (a gallon ziploc bag works well), add Michael’s Special Seasoning to the Runion’s mix, and shake together. Wet the slices of zucchini, and put them in the Runion’s mixture. Coat them evenly. When the butter is melted on the cookie sheet, place the slices of zucchini on the cookie sheet. Cook for 8 to 10 minutes, flip and cook the other side for 8 to 10 minutes. Take the can of pizza sauce and pour over the cooked zucchini, and top with the Mozzarella cheese. Lower the temperature to 350 degrees. Return the pan to the oven, and cook for 10 minutes, or until the cheese is completely melted. This is easy and delicious. I am individually freezing my leftover Zucchini Italian to have for a quick lunch or dinner. Enjoy, and please let me know how this worked for you. This is a very exciting time for us at Sherman Provision. Michael’s seasoning is legendary with everyone who has experienced it on pigs for pig roasts, seasoned pork or seasoned beef roasts. We have been using this secret formula for over 20 years. 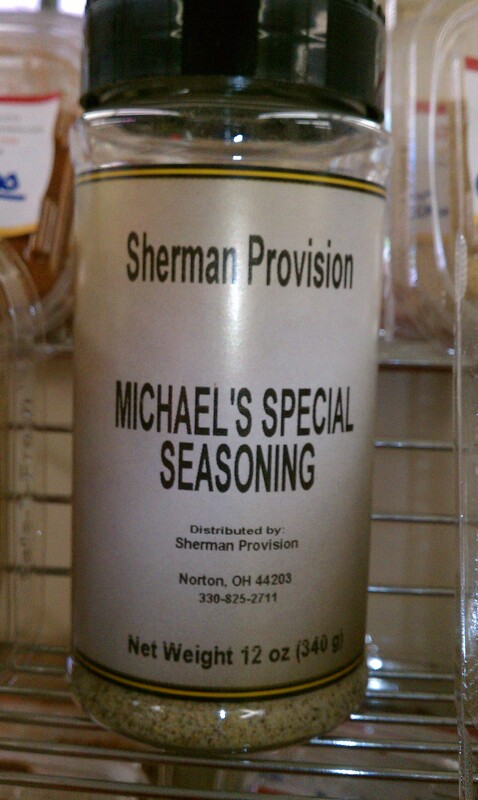 We are now distributing this seasoning at Sherman Provision. We will have an official “launch” later on in the year; however, it is on the shelf at Sherman Provision right now. If you come into the store and mention this story, you will get $1.00 off the price of this seasoning. Today is Farmers Market at Sherman Provision from 3:30 to 6:30. We want farmers to bring their vegetables to sell. There is no charge. Just come to the market at 3:00 and set up. We really want to see the farmers blessed. We have the best customers in the world and we need your help. Tell us some items you would like for us to stock at the store. We will do our best to get the items. Also, if you have a source for the requested items, please share that with us. We will be at the store until 6:30 tonight. Please stop in, we would love to meet you. 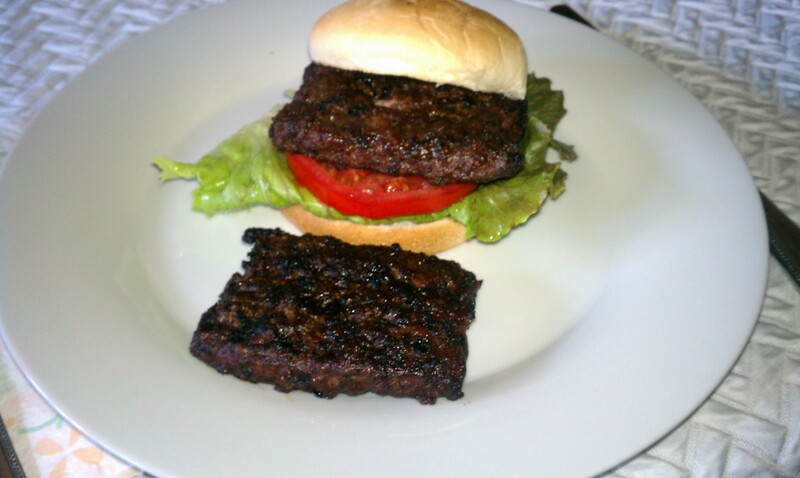 I finally had the opportunity to experience the Sherman Provision hamburger patties first hand. Even though I am the buthcher’s wife, I was never quick enough to get a box of the frozen hamburger patties for my own use. We would sell out too quickly. I did manage to hide a box for our July 4th cookout at my sister’s house. Now I am able to answer questions about the patties. I put the frozen patties in the refrigerator overnight. They were thawed enough to separate, and were still frozen enough to return some patties to the freezer for my sister to use at another time. There were 18 hamburger patties in my 5 pound box. They were easy to cook and were so very delicious. At Sherman Provision we make these patties several times a week; However, it is very difficult to keep them in stock. You can special order this item by calling us at 330.825.2711. Stop in at Sherman Provision and pick up your hamburger patties. You will be glad you did. It is a great item to have in your freezer for unexpected guests or for a planned family gathering. We value our wonderful customers at Sherman Provision. Thank you for letting us “meat” your needs.